Since 1995 E. Nora Amrani has been helping scores of people around the world through her counseling and writing. 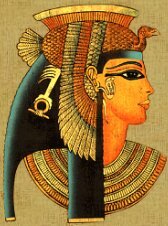 Ms. Amrani is a published Author, Channel, a Certified Akashic Records Practitioner through The Center for Akashic Studies (2014), an Intuitive Consultant, a C. Ht (Certified Transpersonal Hypnotherapist through The Transpersonal Hypnotherapy Institute, 1996), a Certified Energy Worker (TCHI, 1997) and an Ordained Minister (who officiates for marriages, funerals), Dr. of Metaphysics and Dr. of Divinity (ULC, 1995). She also holds a BA Degree in Drama (USC) and completed MA Degree coursework in American Indian Studies (UCLA). You can view some of my channeled artwork here. Private consultations are held in the Los Angeles area, or by phone. help you live your life with more meaning, harmony, joy and balance by using realistic and practical methods. Note: I will be available again starting this Spring for consultations. A note about the photo you see below: This was taken by a Kirlian camera that photographs one's aura and the energy one gives out and what is around them. It is not color enhanced in the processing of the picture. 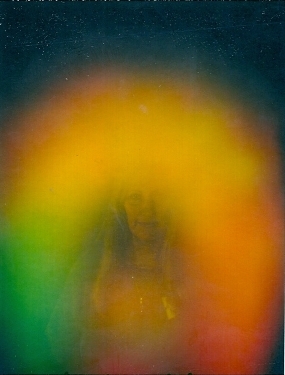 You can see more of Nora's aura photos here.